Scientists developed pretty good 3D-imaging technology a while ago. They’ve also developed cheap 3D-imaging technology. Good and cheap has always been tough, but researchers at MIT have made a breakthrough using old fashioned polarization. The quality isn’t just good either–it’s great. To be more specific, the new polarization technique can increase the resolution of any cheap, conventional 3D-imaging device by a factor of 1,000. That not only makes it leaps and bounds better than your grainy old Microsoft Kinect, it makes it better than high-precision and not-at-all portable laser scanners. This advance could be a game changer for the world of computer imaging, and enable anything from a cellphone camera that doubles as a super accurate 3D-scanner to self-driving cars that aren’t phased by snow or rain. 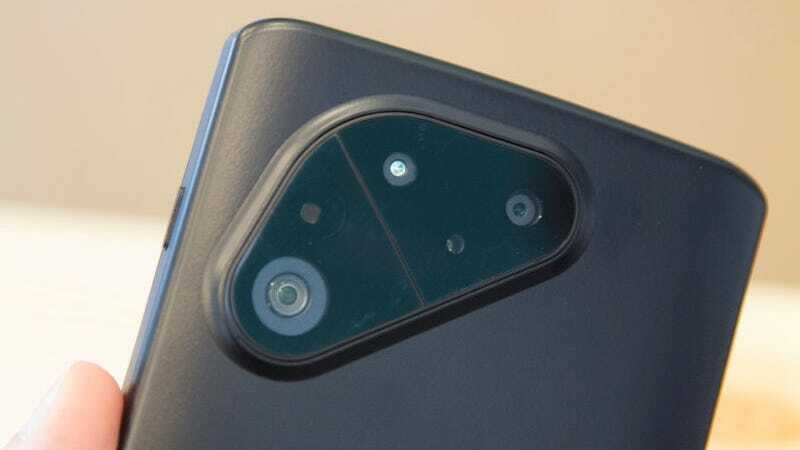 In other words, the 3D scanners of the future will look less like the eyeborg that is Google’s Project Tango (see above) and more like the camera on the back of any old smartphone. The image quality will also far surpass existing portable 3D scanning technology. The extent to which the breakthrough hinges upon existing technology is well expressed by the fact that the MIT researchers used a Kinect to come up with it. The trick boils down to measuring the exact orientation of light that bounces off of an object. The new technique blends existing depth estimates used by technology like the Kinect with readings taken through three different polarization filters. A standard graphics chip like the one in a video game console helps the scientists calculate the orientation of light signals in a range of hundreds of micrometers. Well, there’s a little bit more to it than that, but luckily, the MIT Media Lab is offering up the full paper for free.